Eating outdoors is fun for everyone. 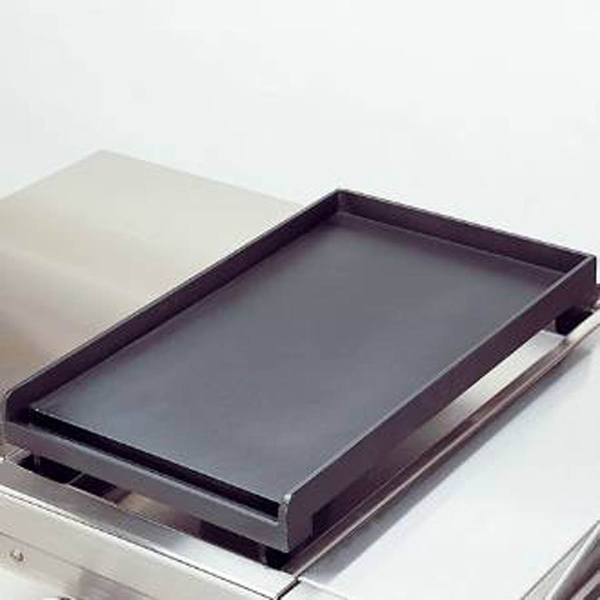 A gas grill can be used all day long with the addition of this cast iron griddle. It was constructed especially to fit on the Fire Magic single side burner. Use it to cook up a delicious breakfast of steak and eggs in the outdoors. Or flip some pancakes on the griddle. At lunchtime use the griddle to make fajitas. The possibilities are only limited by the ingredients you have on hand. WARNING: Cancer and Reproductive Harm. For more information go to www.P65Warnings.ca.gov.